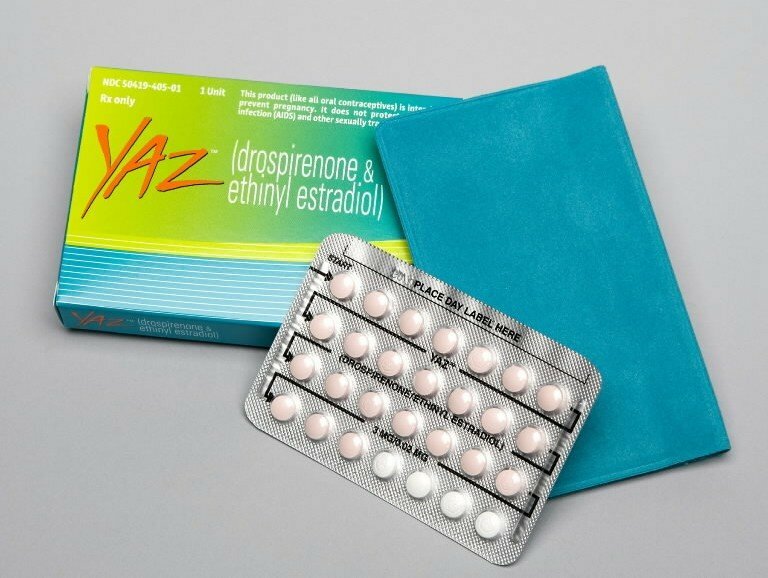 Yaz (drospirenone and ethinyl estradiol) and Yasmin are a type of oral contraceptive that became widely popular following aggressive marketing campaigns from the manufacturer, Bayer. However, the formulation of these pills significantly increased the risk of serious side effects from Yaz, including life-threatening blood clots. Thousands of women have filed lawsuits against the company, demanding compensation for their injuries and calling for Bayer to be held accountable for its misleading advertising campaign. Since Yaz became available, growing concerns over its safety has prompted the FDA to take a closer look at the medication. In April 2012, the agency issued a safety announcement to inform consumers that it was reviewing epidemiologic studies to assess the risk of blood clots in patients taking Yaz. After the conclusion of this safety review, the FDA updated its warnings of Yaz and Yasmin to reflect a three-fold increased risk of blood clots with Yaz as compared to medications that contain a progestin other than drospirenone. The FDA recommended that women talk to their healthcare provider about the risk of blood clots before choosing a method of birth control. The agency further counseled healthcare providers to consider the risks and benefits of these combined oral contraceptives (COCs), and a woman’s specific risk factors for blood clots before prescribing them. All medications, including birth control pills such as Yaz and Yasmin, carry some risk of side effects and complications. For example, about two to four women out of every 10,000 who are taking birth control pills will develop blood clots that can be life-threatening and sometimes even deadly. However, several independent and credible studies have found that the risk of life-threatening side effects among those taking Yaz is two to three times higher than conventional birth control pills. And five studies point to a 50-to 75-percent increased risk of blood clots as compared to other birth control pills. There have been other studies that substantiate the safety of Yaz and Yasmin; however, these studies were found to have been financed directly by Bayer. Bayer used these studies to argue its case for the FDA approval of Yaz. Although 15 out of 26 experts at the FDA had voted that the benefits of the pill outweigh the risks, many of those who voted in favor of the drug expressed considerable doubts about the pill’s safety. One panelist, Sean Hennessey of the University of Pennsylvania, noted “I voted yes, but it was a difficult vote. I think the drug probably ought to be used rarely.” Additionally, 21 of those panelists voted to strengthen the warning label on Yaz in light of the findings of the independent medical studies. Indeed, many of the lawsuits filed against Bayer with regard to the side effects of Yaz and Yasmin allege a cover-up by the pharmaceutical giant. They claim Bayer deliberately concealed study findings that pointed to the risks of the drug, while overstating the drug’s effectiveness and benefits. Previously, the FDA took the unprecedented move of requiring the company of correct a series of misleading and aggressive television advertisements, which had claimed that Yaz was not only for birth control, but could also improve quality of life. A blood clot, also called a thrombus, forms when the blood solidifies. This condition typically occurs in the deep veins of the body, such as in the legs. It is referred to as deep vein thrombosis (DVT) and it is a known complication of Yaz and Yasmin use. If the blood clot breaks free of the vein from which it originated, it is referred to as an embolus. Depending on where the embolus travels to, it can result in deadly consequences. Pulmonary embolism: This occurs when the blood clot travels to a blood vessel in the lungs. It requires emergency medical care. Pulmonary embolism can cause symptoms such as sharp or stabbing pain in the chest area, fainting, rapid heartbeat, wheezing, and sudden shortness of breath. Heart attack: A blood clot can travel to a coronary artery, where it can block blood flow to the heart and cause a heart attack. During a heart attack, the heart muscle becomes damaged, potentially leading to additional complications such as arrhythmias, heart rupture, heart failure, and valve problems. This means that even if the patient survives the heart attack, additional complications may still claim her life. A blood clot can also travel to the kidneys (renal vein thrombosis), intestines (mesenteric venous thrombosis), and brain (stroke). To date, thousands of lawsuits have been filed against Bayer. Many of them were consolidated into coordinated proceedings in California and Pennsylvania, in addition to a multidistrict litigation (MDL) proceeding in Illinois. While the plaintiffs list a variety of complaints, the most commonly litigated side effect of Yaz is deep vein thrombosis, which has often led to pulmonary embolism. Thousands of plaintiffs have also filed Yaz lawsuits because of gallbladder problems, which have sometimes necessitated the removal of the gallbladder. Although Bayer has agreed to pay out more than $1 billion to women who have suffered side effects, many more lawsuits are expected to be filed.